Lookup the of your conference. This conference ranking has been created as part of the Excellence in Research in Australia (ERA). The ranking was created by Australian deans and the Australian Computing Research and Education Association of Australasia (CORE). The rankings range from A (=best) to C (=worst). 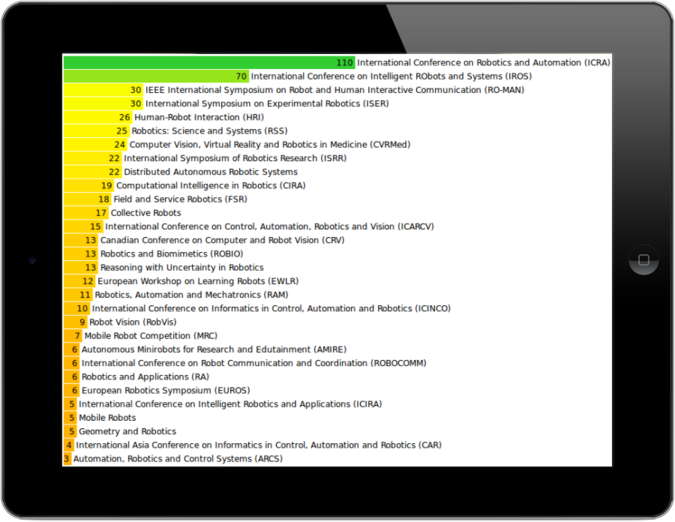 This conference ranking has been published by the Brazilian ministry of education and uses the H-index as performance measure for conferences. 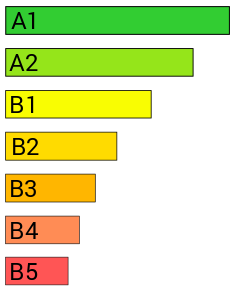 Based on the H-index percentiles, the conferences are grouped into performance classes that range from A1 (=best), A2, B1, ..., B5 (=worst). Microsoft Academic's field ratings for conferences. Microsoft Academic describes field ratings as follows: "The field rating is similar to h-index in that it calculates the number of publications by an author and the distribution of citations to the publications. Field rating only calculates publications and citations within a specific field and shows the impact of the scholar or journal within that specific field"